On September 26, 1983, an alarm sounded to indicate that American missiles had been launched against the Soviet Union. Incredibly, Russian Lt. 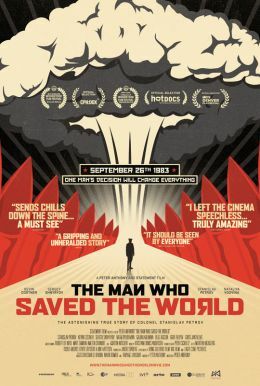 Colonel Stanislav Petrov defied direct orders to counter attack and ignored what his state of the art warning systems were telling him; he followed his gut and declared a false alarm, thus spared the world a nuclear holocaust. Two decades later, this forgotten hero travels to the U.S. to accept an award from the United Nations and finally receives acknowledgement for his historical deed. But Petrov is more interested in meeting actors Robert De Niro and Kevin Costner than accepting awards. Through accurate and compelling reenactments of actual events, this historical thriller and personal redemption story reminds us how close we came to World War III, billions of lives lost and likely the complete extinction of the human race.